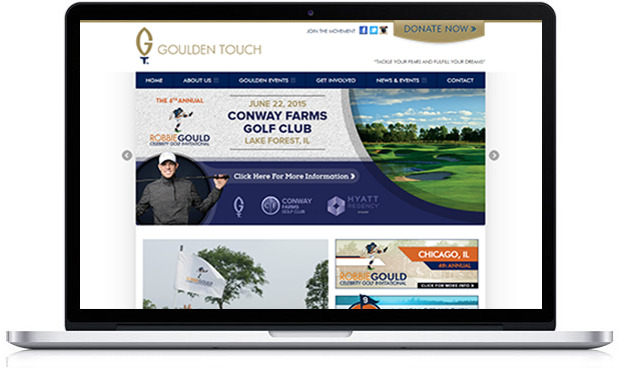 Founded by Chicago Bears Placekicker Robbie Gould, the mission of The Goulden Touch is simply put – to help those in need. The intent is to balance the importance of giving to others while making charitable-giving enjoyable. One of celebrity golf's most popular events, the Robbie Gould Celebrity Golf Invitational has raised more that $600,000 to date for Chicagoland non-profits and programs.